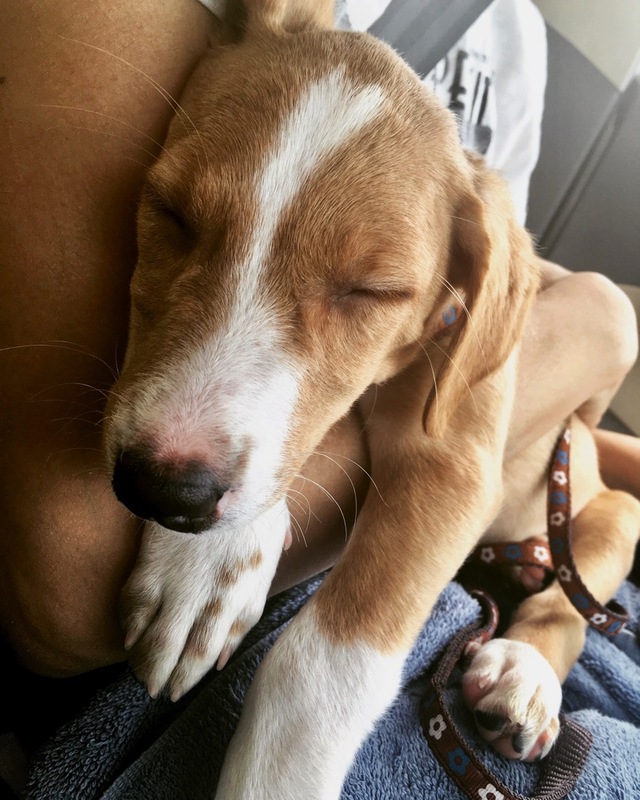 TLDR: Say hello to the newest member of our family: the beautiful Ginger! 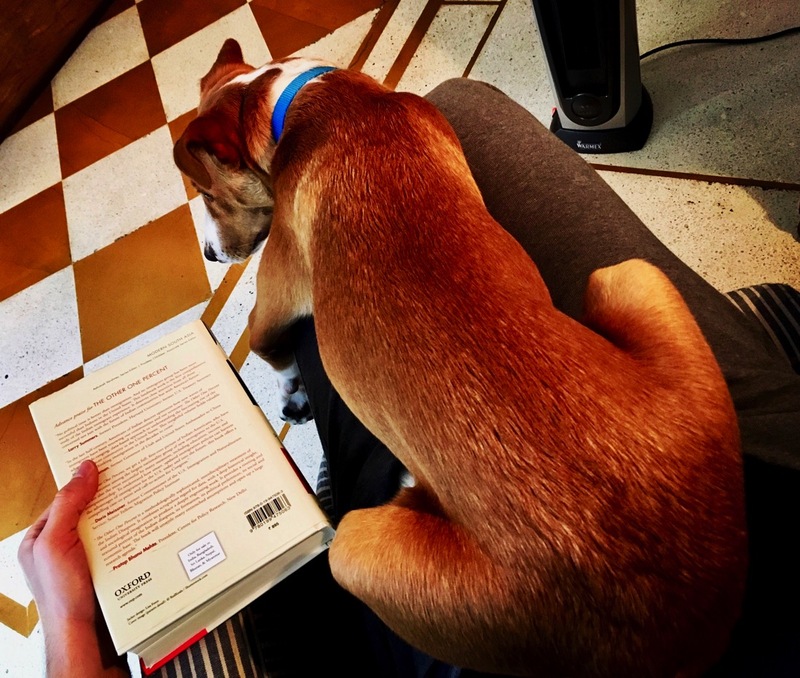 Last year, about six months after our beloved dog Ashley died, we found ourselves really missing having a pooch in our lives. But we weren’t quite ready to adopt a new one. 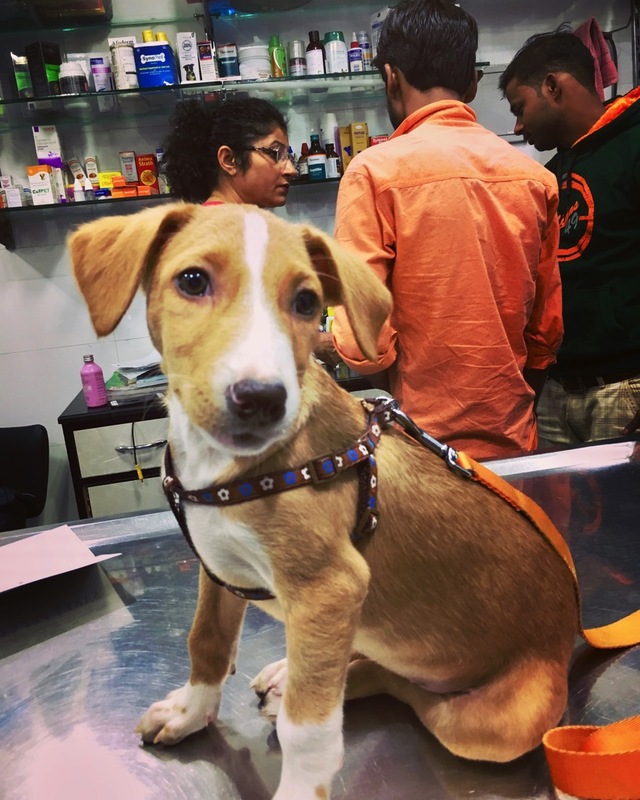 Anasuya started asking around about organizations here in Delhi that help street dogs, and a friend recommended the Indian Canine Uplipftment Centre, or ICUC. 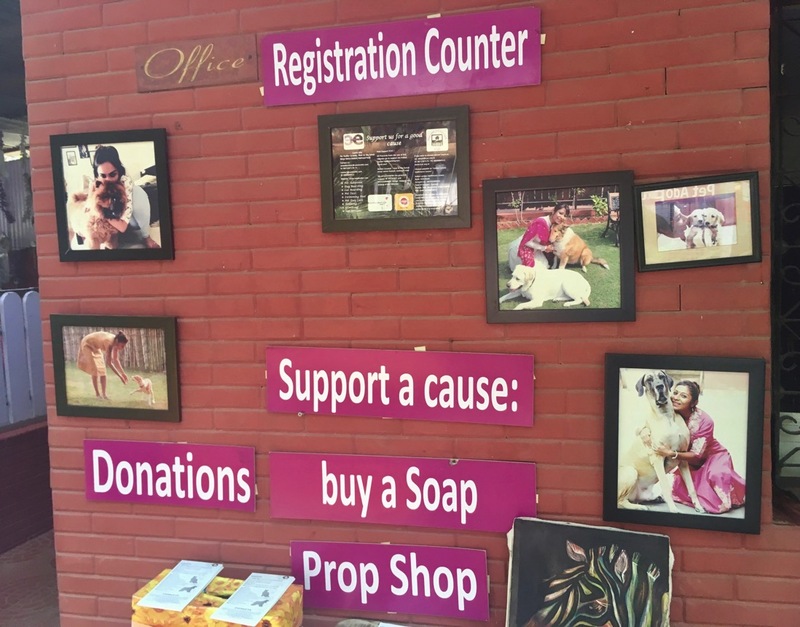 The New Delhi-based organization was founded in 2012 by the charming Sonya Kochhar Apicella, who like all the staff at the center clearly care deeply for dogs. And as anyone who has visited Delhi knows, there are tons of street dogs here. 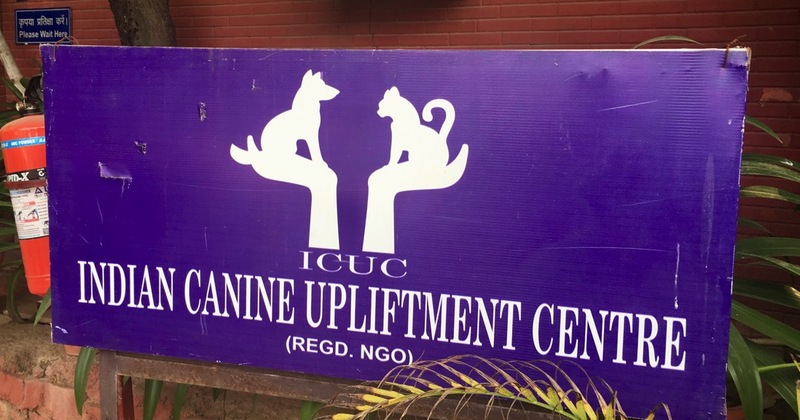 ICUC is the NGO wing of a boarding, day care and grooming on the same premises called Canine Elite. 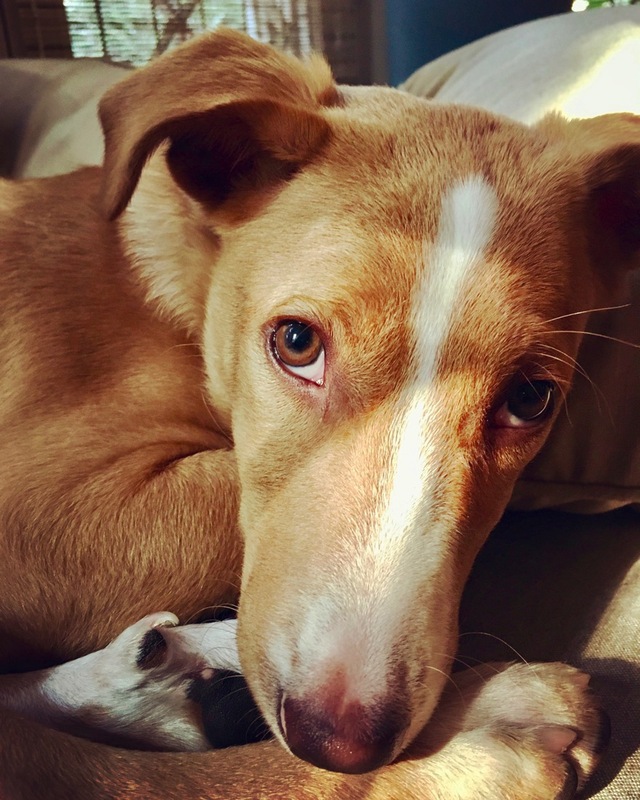 Often called Desi dogs (Desi roughly meaning “from India,” based on the Hindi word for “country”), these canines typically look like Ginger: medium sized, short haired, and often a shade of brown, with some white marks. Another name for the creatures is INDogs, short for “Indian Native Dog;” you can find a wealth of information at INDog.co.in, the site for the INDog Project. 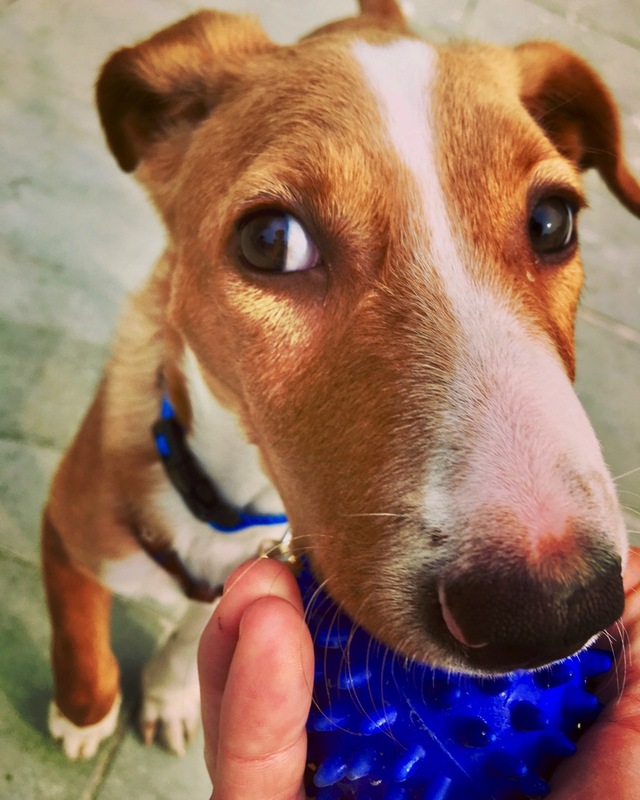 The group also maintains a gallery of such canines, and a crowd-sourced document containing reports on the dogs’ temperament. 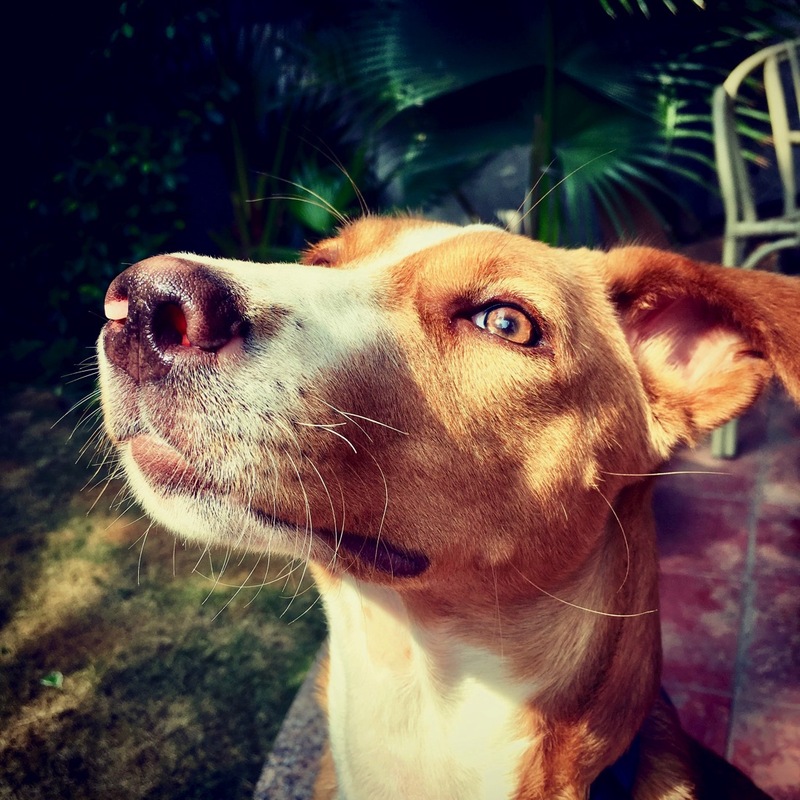 Desi dogs, some of which have over the years mixed with non-native Indian breeds to varying degrees, often live in neighborhoods here in New Delhi and in other cities, towns, and villages. Residents typically look after them, feeding them but often not providing medical attention or sterilization. Others dogs roam around more freely. 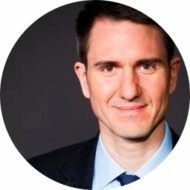 Many have diseases and suffer from various ailments. I haven’t seen the full version of the documentary, but Desi dogs are reportedly mentioned in a 2003 National Geographic documentary called “Search for the First Dog,” as being one of the world’s oldest types of dogs. A snippet from the show describes these dogs perfectly: they’re “designed by Darwin.” They are mostly a product of natural selection, not man-made tinkering for looks. 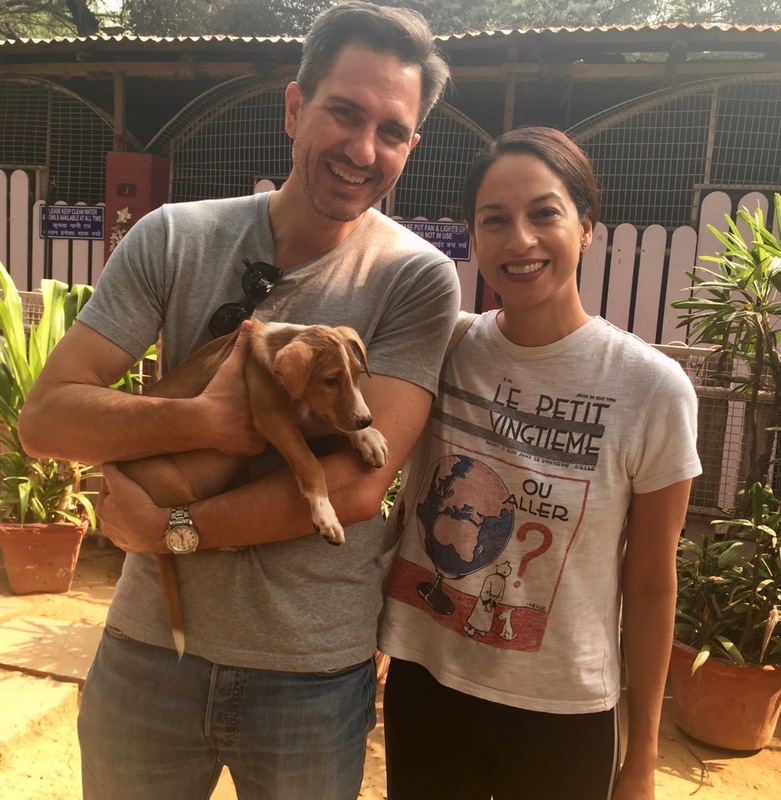 On our first ICUC visit, we learned that Sonya and her team had just taken in a litter of ten Desi dog puppies, along with their mother, who had been rescued from a New Delhi intersection. We decided to play with the pups a bit. 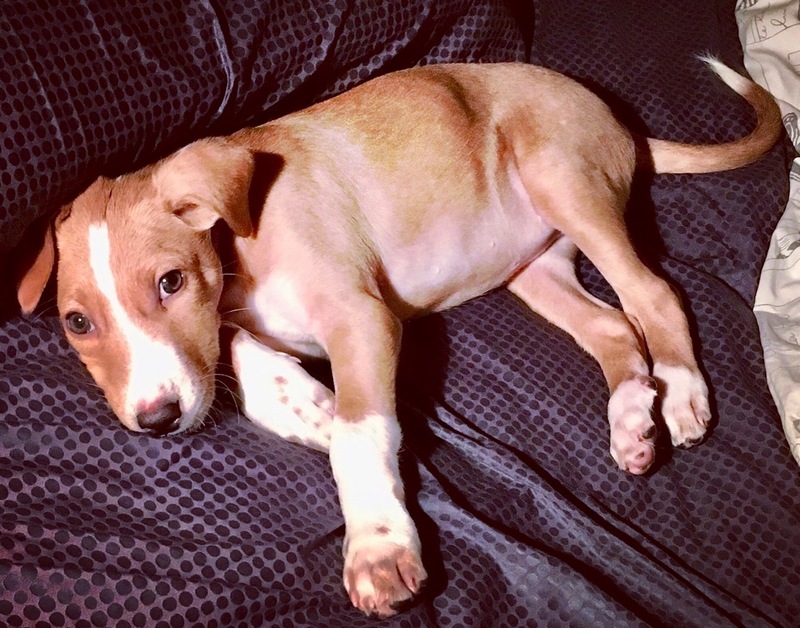 Frankly, all the puppies were cute, but this little light brown one – with a white stripe down the middle of her face – struck me as especially lovable. 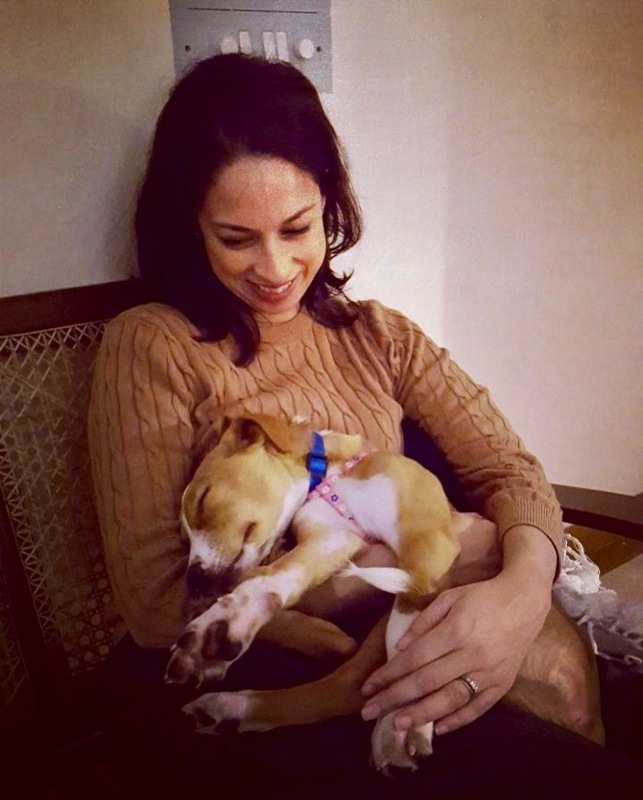 And she was comfortable with people, which I liked, while some of her litter-mates were a bit more skittish. 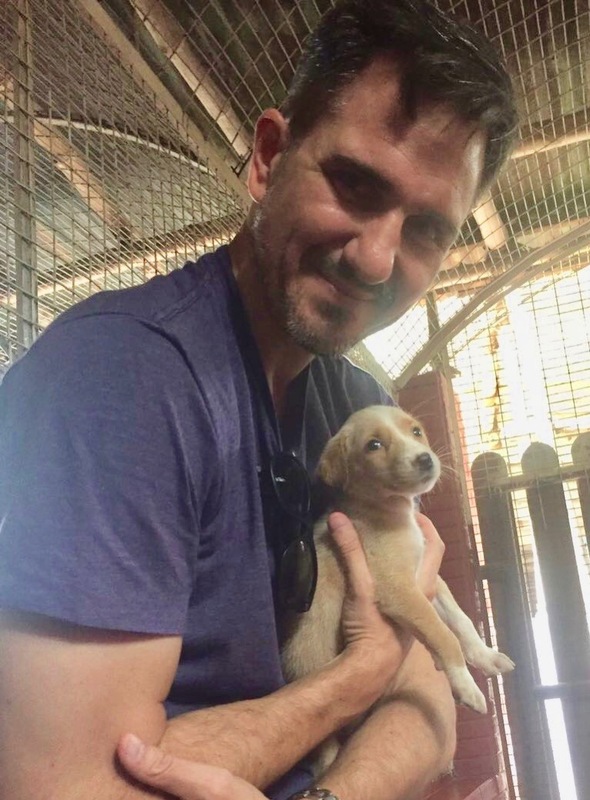 We continued visiting the center once or twice a month, often checking in on the litter and spending time playing with some of the dozen or so older dogs living there, which range in age from nearly a year to several years old. 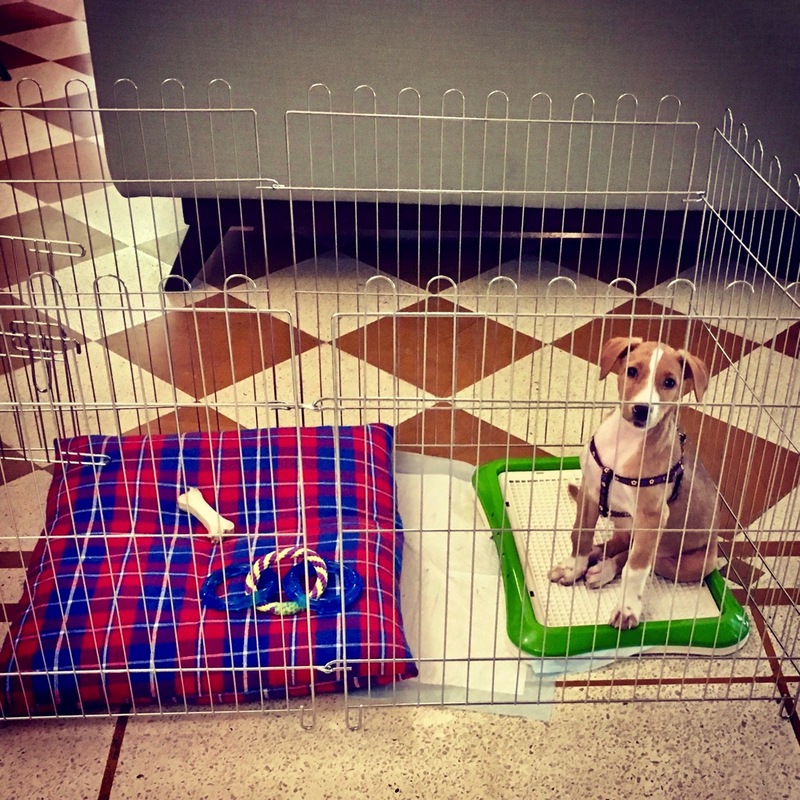 Then around October, one day we showed up to discover that five of the ten puppies…had been adopted! 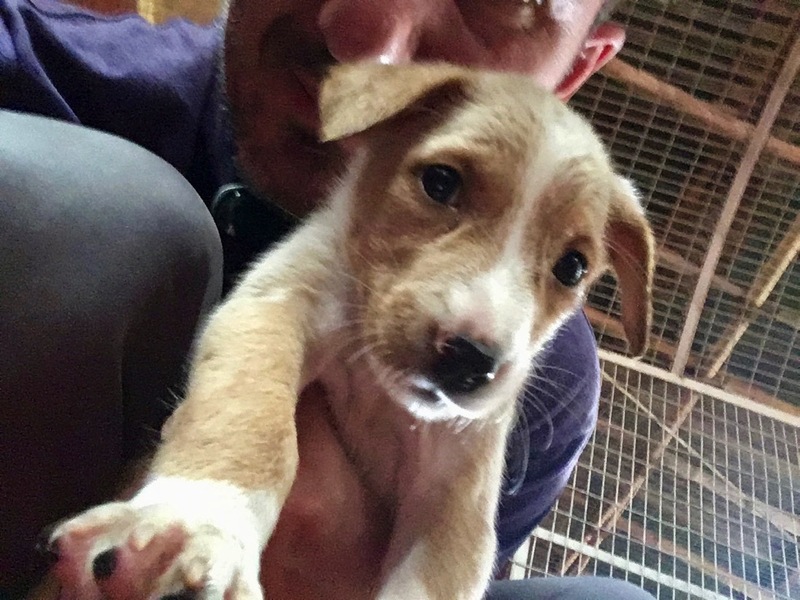 I rushed into the room where they were being held and found, to my relief, that the cute little yellow puppy was still there. So that was it: We decided to officially adopt her, signing the papers on November 4. And as I mentioned, we’ve named her Ginger. The first couple of weeks, despite our better judgement, we let her sleep in our bed because it was the only way we could get her to stop whining. Total bed hog. She no longer sleeps in the bed with us. One of her favorite perches, where she can keep an eye on the gate and police any potential intruders – when she’s not napping, that is. She weighed about five kilograms – or 11 pounds – when we first adopted here and now, at about eight months, she weighs 16 kg (35 pounds). I think she’ll continue growing a bit more. She seeks out pats a little less now, but still enjoys sitting in our laps from time to time, as you can see above. Now that she’s getting closer to the one-year mark, we’re also getting a better sense of her grown-up characteristics. She is a very smart and alert dog, keen to interact with humans and play with toys and fetch balls. She’s also quite athletic and agile. And she is a great watch dog: She’s plenty defensive of us and our house, but she doesn’t bark an unreasonable amount. We love her so much already.